Quoted from papua.antaranews, The management of PT Pertamina (Persero) Marketing Operation Region (MOR) VIII Maluku-Papua has began marketing Pertalite in Serui, Yapen Chief District, Papua Province as the company's commitment to provide better energy choices for the community. 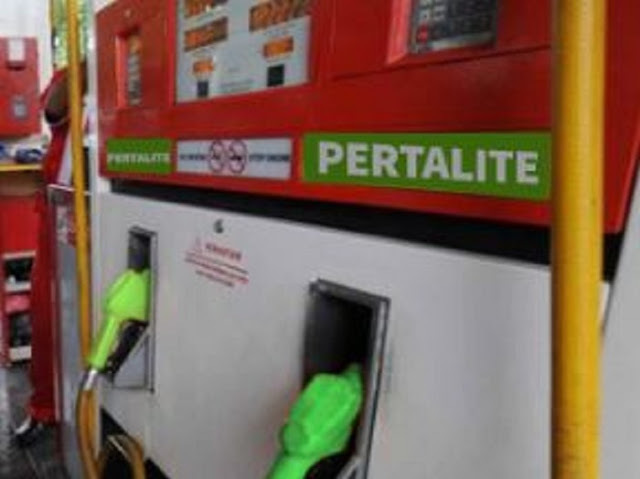 "Pertalite initial distribution in TBBM Serui has been done today, and the people of Seruis have been able to enjoy the product," said Sales Executif Retail Area II Pertamina Marketing Operational Region 8 Maluku-Papua Fresly Leo Chandra Hutapea, in Serui, Thursday. He called for the initial stage of a new channeling agency that would sell Pertalite, which is in the old China Mini Bus Station. Gradually Pertamina has planned to market Pertalite in three other channeling institutions, namely at the Compact PT. Asua, Fisherman's Gas Station PT. Sinar Purna Karya and SPBU Kompak PT. Multi Raya Masokan. "One month ahead there will be a total of four channeling agencies selling Pertalite, while the total channeling agency in Serui is seven," he said. Fresly hopes the presence of Pertalite in Serui as a better choice of fuel products can be well received by the people of Serui. Previously, Manager of Fuel Retail Marketing of Pertamina MOR VIII Fanda Chrismianto, revealed that until now there has been no official target given the central management related to Pertalite marketing, pertamax and dexlite, but he believes in 2018 the number will continue to increase compared to the previous year. "We have not been given the target yet, but if in 2017 its development is rapidly." At the end of first quarter 2017 the percentage of premium users is still 81 percent, then at the end of 2017 only 53 percent, the rest have started to switch to Pertalite, "he said.